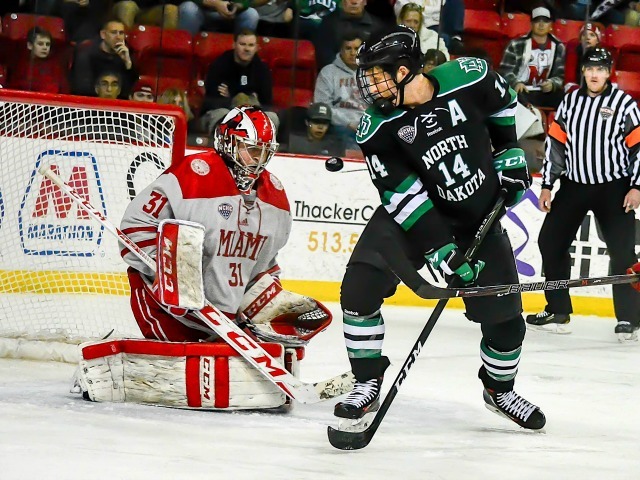 Posted on March 4, 2017, in 2016-17, analysis, North Dakota Fighting Sioux and tagged 2016-17 miami redhawks, analysis, josh melnick, Louie Belpedio, North Dakota Fighting Sioux, ryan larkin. Bookmark the permalink. 1 Comment. On to the playoffs now after yet another tough loss in which our Redhawks played with guts and didn’t quit. It’s difficult for them and the fans but we’ll be back next year to watch, hopefully, for more success. Meanwhile, the responsibility for this year’s performance rests squarely with management and the coaching staff. No changes required if they’re satisfied. If not, I respectfully suggest that it may be time for change.